My husband is hard to shop for. He has simple tastes and knows what he likes. Over the years I have tried and tried to find the perfect gift he would really love and use. I’ve attempted to be clever, tapping into his interests, hoping to come up with something he would enjoy. I have had little success in thirty-eight years. About ten years ago I was looking for an item I thought he might have put into one of his drawers. I started rummaging through his dresser and low and behold I came upon his past gift stash, many of which I had given to him which were still in their original packaging. I was surprised, but mostly perturbed and hurt. 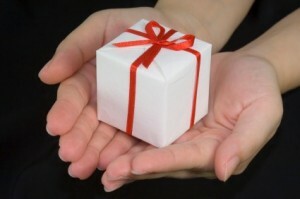 Men and women are different regarding their approach to an unwanted gift. Women might consider exchanging it or pretend to like it, then give it away accidently on purpose. Guys are comfortable with tucking it away, out of sight out of mind. These gifts given by the Holy Spirit are referred to as “charisms.” As Baptized persons we are all given these supernatural gifts, so that we might be supernatural instruments for God. Charisms are meant to be given away. They are not for us, rather, they are outward focused, to build up the Kingdom of God. Often our charisms lay dormant, undiscovered, and unused. We may misunderstand or assume that they are only for those charismatic people, or people more gifted or holier than I. Nothing could be further from the truth. We often reject these incredible gifts simply by not taking the time to learn more, pray, and ask God to show us how He wants to use us. Charisms are God working through us in practical ways. Greater than what Jesus did on earth? Wow, that should make us sit right up and pay attention. In the world of charisms, it’s use them or lose them. Additionally, it might seem kind of weird to be given gifts that really aren’t for us. Yet, these amazing gifts of the Holy Spirit are in fact gifts that feel pretty awesome when “exercised” and given away. It’s like a double bonus. We get the grace of the gifts, and we get the joy that comes when giving them away as we observe the incredible fruit the Spirit bears from that effort. By each of us choosing to discern, test, and exercise our charisms we work harmoniously together like a symphony playing the Lord’s beautiful music. We must realize that we each have a part to play. Our diversity is ordered to unity, just like a symphony. The closer we come in our relationship with Jesus, we increase in holiness, and the charisms increase in power and purity. Where do I begin you might ask? There are several inventories available that point you in the right direction of discovery. The “St. Catherine of Siena Institute” has done incredible work in this area through their Called and Gifted Seminars. There is also a free online inventory I found that is very helpful from the Paulist Fathers at St. Austin’s Catholic Church in Austin, Texas. Charisms must be discerned, tested, yearned and prayed for. Pick one and experiment with it for a while. Pay attention how you feel, what people are saying to you, and any extraordinary fruit that comes from this effort. It takes time to truly assess if there is a charism present. Do this with the charisms you believe you have been gifted with. Does it grow stronger? Are you at peace or conflicted? Do you feel closer or further from God? Then ask God in prayer, to show you how to put your charisms to work. Using our charisms will bring us great happiness and joy as we glimpse the fruit that comes from service to the Lord. It all starts with our yes to God. Don’t let the Lord find all the good gifts he has given you unopened.